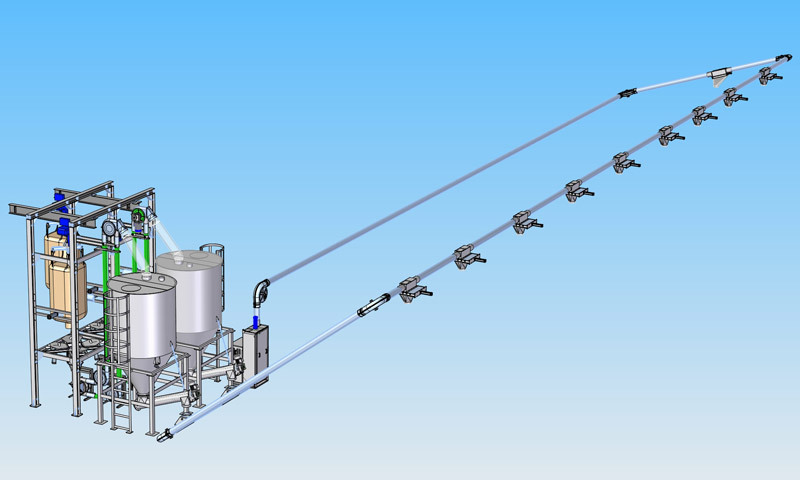 Scheme of the plant: Flexible Intermediate Bulk Containers (FIBC) emptying station. Elevating and conveying of the raw material to the batch preparation hoppers. Weighing, extracting-dosing and distribution by means of mechanical conveyor, assembled on bank of dryers.